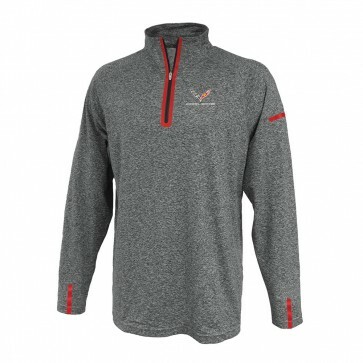 When it starts to chill, this mid-weight interlock pullover will keep you warm and looking sharp. Laser-cut red taping accents on placket edge, cuffs, left sleeve and back. Raglan shoulders, open cuffs and hem. 100% polyester. Imported.